This VIP Rooftop on top of the famous Stage 48 mega club is one wild night you’ll never forget. 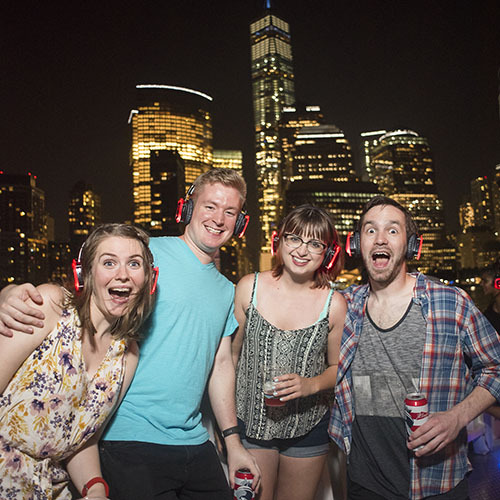 3 DJs, hundreds of partiers, and panoramic views of NYC create a one of kind experience. This upscale rooftop is ideal for your next birthday party or girls night out.et there before 12am for $8 well drinks. Make your night extra special with bottle service and reserved seating. •You MUST have a credit or debit card for the check-in process. If the headphones are NOT returned, there will be a $100 charge to your credit or debit card after the event. •No need to print your ticket, just show the code on your phone or they will have your name at the door.